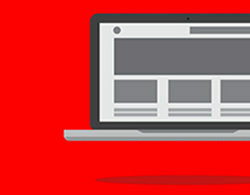 Web design is comprised of two interrelated yet unique subjects. General interface design is about aesthetic ideas while user experience design is about how an interface works. Both concepts should be applied to all areas of design from a full page layout to the individualistic elements in each section. Websites for desktop programs and mobile apps serve one primary function: to increase downloads. These websites can also include information regarding program support and updates, but primarily developers want to increase retention rate among users. Both web design and mobile app design share many similar features. One of the most important features is that they’re both created for an audience, whether young kids or teens or adults or some kind of mix. The end user should be your most important priority when it comes to brainstorming new ideas.